Disney Vacation Club members are not limited to staying at DVC resorts at Walt Disney World! In fact, as a DVC member, the world is your oyster. Use your points in a variety of ways to travel to your heart's content. Have you always dreamed of exploring Europe? Perhaps an African Safari is on your bucket list. Maybe you have always wanted to visit the Disney Theme Parks in Tokyo, Paris, or Hong Kong. Or how about sailing the seven seas with Captain Mickey on a Disney Cruise Line vacation! All of these and more are ways Disney Vacation Club Members can use their points for travel. Let's explore the various destinations available to choose from! While others dream about an international vacation, Disney's Vacation Club Members can make it a reality. Visit the land of castles and kings. Bask on the shores of a tropical island. Explore the ancient Mayan ruins, or golf in the Scottish Highlands. With your international resort exchanges, the world awaits. DIsney Vacation Club members may use points via the following exchange programs: RCI and Buena Vista Trading Company. Explore America. In between Hawaii's tropical islands and the scenic eastern seaboard, you'll discover rugged mountains and pampered golf greens, sunny beaches and snowy white ski slopes, historic museums and local theater...the opportunities are endless. Whether your vacation takes you to the West, Midwest, or East, your American adventure beckons. DIsney Vacation Club members may use points via the following exchange programs: RCI and Buena Vista Trading Company. Let the World Collection be your route to places you've never seen before. A world of magical vacation destinations awaits. Ski the slopes, golf the greens, walk the beaches or traverse the moors. Explore the big cities and small villages, tropical paradises and desert hideaways, open roads and winding trails that dot the maps. You'll have access to over 30 magnificent resorts located around the world. These superb vacations include some of the most famous names in big-city hotels, picturesque country inns and world renowned spas. Legendary landmarks, an extraordinary beach experience and spectacular mountain resorts also make up this wonderful collection. This option allows members to book Disney Resort hotels around the world using points. Points may be used to book rooms at resorts that do NOT have a DVC component. Destinations include Walt Disney World, Disneyland Resort in California, Tokyo Disneyland, Hong Kong Disneyland, and Disneyland Paris. Make all your Disney dreams come true by exploring the best of Disney's Resorts worldwide! Sail the seven seas using your member points. Disney Cruise line offers cruises to the Caribbean, Bahamas, Alaska, Europe, and Mexico. Choose from four cruise ships: Disney Fantasy, Disney Dream, Disney Magic, and Disney Wonder. Part of the Disney Collection, Adventures By Disney is the ultimate in guided tours. Explore destinations around the world, including Europe, Asia, Africa, Australia, Central and South America, and North America. Explore Old World Europe on a River Cruise. Take a real African Safarai! 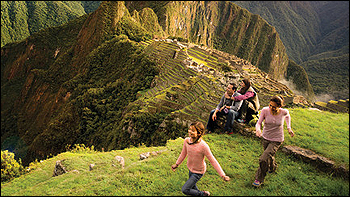 The experiences and adventures are unforgettable when you tour with Adventures by Disney. For more information and details, including point costs, please visit the official Disney Vacation Club Destinations page.